TravelpharmNewsWhat Are The Interactions And Dose Of CBD? We examine the drug interactions you may expect to see from CBD. Our exclusive breakdown will arm you with the knowledge to use CBD safely. If you haven’t already why don’t you check out our blog on CBD products. But this post will focus on the interactions. Here at Travelpharm we have scoured the market for a CBD oil manufactured within the EU to UK standards and finally stumbled upon Green Monkey. Green Monkey products are naturally high in CBD. We stock CBD oils, a CBD carbonated soft drink and a balm and the great news? They are all vegetarian and vegan-friendly! First things first, we are a Pharmacy, not a health food shop so let’s examine the drug interactions you may expect to see from CBD. There have been reviews into the safety and efficacy of CBD oil but unfortunately, most reviews have relied on anecdotal evidence, or in vitro studies so first and foremost any potential adverse events need reporting via the yellow card scheme (click here to report a yellow card). You are likely to feel drowsy, confused and with decreased co-ordination. Anticonvulsants eg Topiramate, Zonisamide, Rufinamide, Valproate and Esliscarbazine: Increased levels of anticonvulsants and raised liver enzymes. Raised levels of anticonvulsants, although the small scale of study indicated rises still keep the drugs within therapeutic concentrations. Patients taking drugs like Warfarin or Rivoroxaban (anticoagulants) or Aspirin and Clopidogrel (anti-platelets) are at risk. Reports of INR levels over 10 when CBD and warfarin used which led to a stomach bleed. This list of drugs is not exhaustive and if you are on an antiplatelet or anticoagulant we advise not to use CBD products. Combinations of Cannabis and Chlorpromazine resulted in a faster clearance of Chlorpromazine from the body. This could lead to poor control of the condition the Chlorpromazine id controlling. CBD levels increased by 89% when taken together, it is possible that other drugs like Itraconazole and Clarithromycin may have similar affects. Increased Phenytoin levels Theoretically possible that Phenytoin levels may increase especially when used at higher doses. Rifampicin will increase levels of the enzyme responsible for removing CBD from the body. CBD levels reduced by approximately 52%. Theophylline is removed from the body quicker when used with CBD, just like tobacco. Theophylline is toxic with a narrow therapeutic index. Avoid using together. Travelpharm would recommend that patients using the medicines listed above DO NOT use CBD oils, CBD drinks and other products containing CBD due to the theoretical risk of a significant drug interaction. We would also recommend that CBD is avoided in patients suffering from epilepsy, Parkinson’s, and from gastrointestinal disorders like ulcerative colitis until further information is available regarding the safety of this product in these conditions. Phew, now we have that out of the way lets examine the potential side effects? Again the picture isn’t entirely clear but the most common adverse events noted by the SPS when critically reviewing the evidence, suggest sleepiness, decreased appetite and the usual digestive upsets associated with most drugs, nausea, vomiting and diarrhoea. More serious side effects have not been demonstrated apart from where CBD has been involved in a complex drug interaction. In a study involving epilepsy patients, the above events occurred more frequently and also included convulsions, status epilepticus, changes in concentration and lethargy. 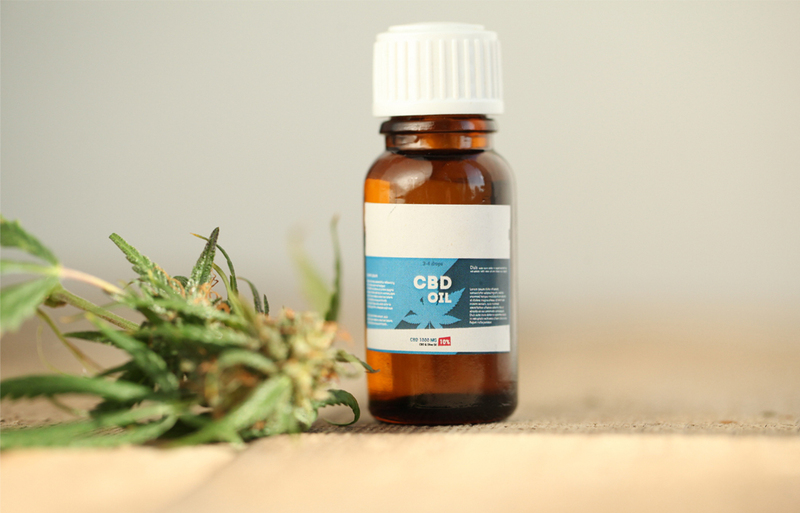 Unfortunately, dosage information is also lacking but popular opinion suggests CBD oil should be used at a dose of no more than 150mg daily increasing the dose very gradually to find a point that works for you. Our range of Green Monkey Oils in 2.5% (1.25mg) and 5% (2.5mg) per drop so you can easily learn to taper your dose up or down depending on the outcome you wish to achieve. Geeky Bit – Want to know more about the interactions of CBD then we thoroughly recommend a read of the SPS review which delves into the role of the various cytochrome P450 enzymes and how they will interact with CBD.